Urban music station Kiss Fresh has taken a national slot on DAB digital radio. The sister station of Kiss is now broadcasting on the Digital One national DAB multiplex (80kbps mono). As part of the move to a national platform, Kiss Fresh will focus on new tracks from 7am, with specialist programmes now starting at 11pm. 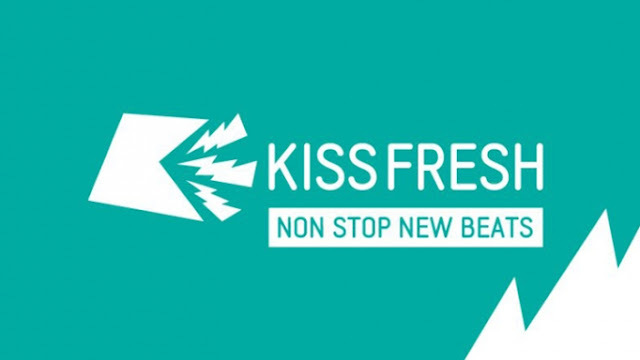 Previously, Kiss Fresh was only broadcast in some areas on local DAB services. Kiss and Kiss Fresh now reach around 90% of UK listeners on national DAB, with Kisstory reaching around 76% via the Sound Digital (D2) multiplex. What will happen to the various Kiss Fresh slots on local DAB is yet to be confirmed, but any extra capacity on local DAB in cities such as Birmingham will be welcomed by some in the radio industry, who have made recent appeals to Ofcom to make more DAB capacity available.